The continued liquidity of the Forex market is based on the fact that there’s always a market open somewhere around the world. From New Zealand opening in Asia until the US closes, the market is constantly operating from Sunday to Friday. There are 3 main sessions that gather the most of the volume, and those sessions are related to the main local share markets opening and close: London, New York, and Tokyo. 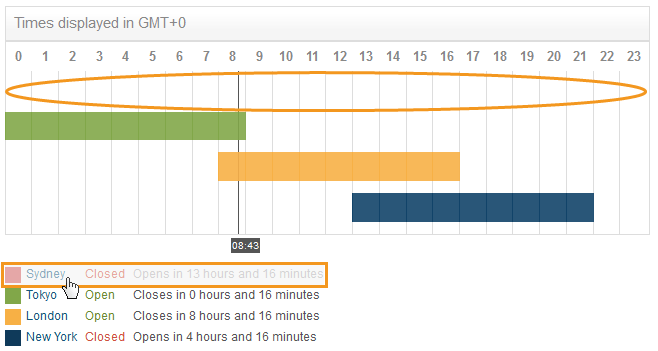 During certain hours of the day, these sessions overlap: that’s when the market is more active, providing better opportunities. This map will help you visualize those times of the day. 1. 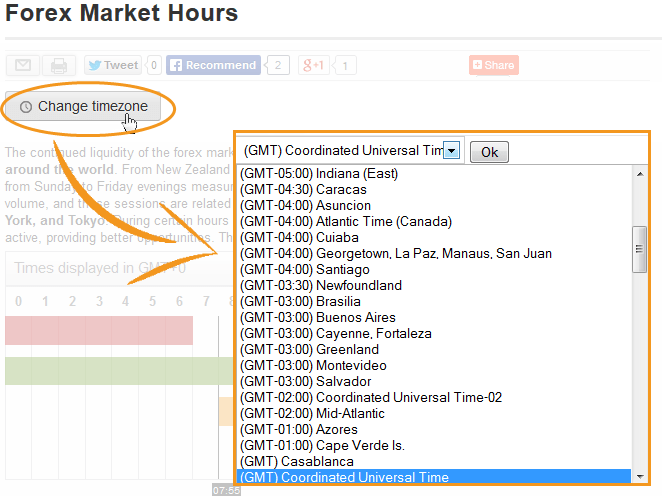 You can adapt the tool to your local timezone: by changing your timezone, you will see the market timings in your own time. No calculation needed! 2. 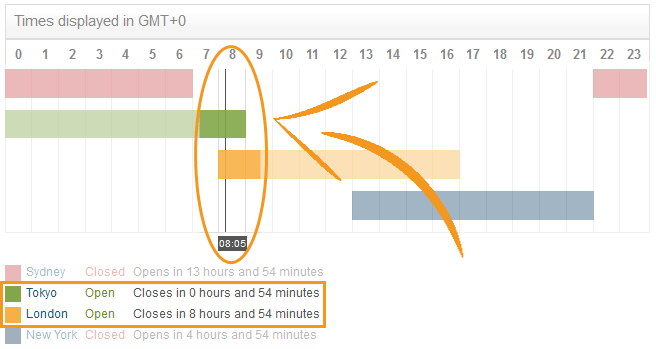 There is a line that indicates what time it is now and by doing so, what markets are open or not. In the example below, it’s 08:05 am in my local time and I can see that the Tokyo and London markets are open and Sydney closed about an hour ago. 3. When it’s a national holiday in a country and its market is closed, the bar of that market disappears so you know there is no activity. Also, if you want, you can unactivate the bar of one of the trading sessions, you can click on the city name and the bar will disappear from the map. At the bottom of the page, we added links to related content. This new tool should be available in our other languages websites next year. This tool is available as a widget to be added to other companies website. Have a look at our White Label products. Visit the Forex Market Hours page now!